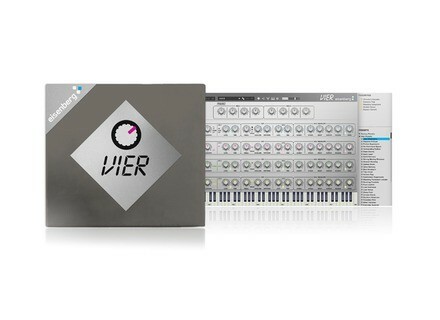 Vier, Other Virtual Synth from Eisenberg Audio. 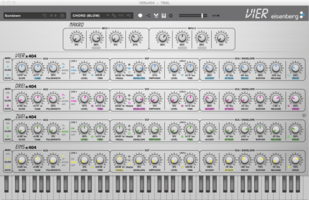 Eisenberg Audio announces the release of Vier, a virtual instrument for Mac and PC that reproduces four Doepfer MS-404 synth units. The original MS-404 is monophonic, but in Eisenberg’s virtual world, you can run 4 of them together and get unlimited polyphony (“Vier” means “Four” in German, and each module is numbered: Eins, Zwei, Drei and Vier in the GUI, I’ll let you do the maths). The four virtual modules are identical, you’ll find 2 LFOs, a VCA/Envelope section, a VCA, a VCO and Eisenberg Audio adds that they used zero-delay feedback filter and wide capacities of modulation and grouping/chaining of the parameters, which allows for macro controls. A smart voice management system is also included to dynamically assign keys and played notes to the different modules, which opens even more the sonic possibilities. 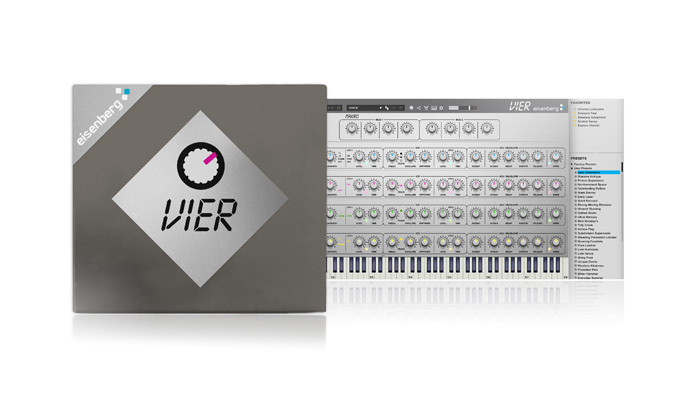 Vier ships with a collection of adjustable presets and you can create your own presets. 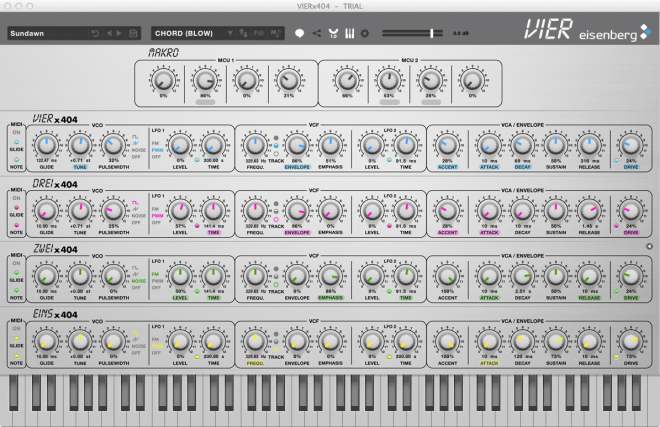 The synth is available in standalone as well as VST, AU, RTAS and AAX 32/64-bit plug-in for Mac OS X and Windows. It has a regular price of $/€ 99 but you can purchase it in September for $/€ 69. A demo version can also be downloaded at www.eisenberg-audio.de/vier. Magix releases Sequoia 13 Magix announces the release of the new version of its Sequoia broadcasting, mastering and audio production software workstation.